The Black Prince is an Upcoming Punjabi Biographical Drama Movie Based on the real life story of the last King of Punjab - Maharaja Duleep Singh. The project will be directed by Kavi Raz Debut of Singer Poet Satinder Sartaaj. Maharaja Duleep Singh was born on 6 September 1838 in Lahore (Punjab, Pakistan) Sikh Empire. 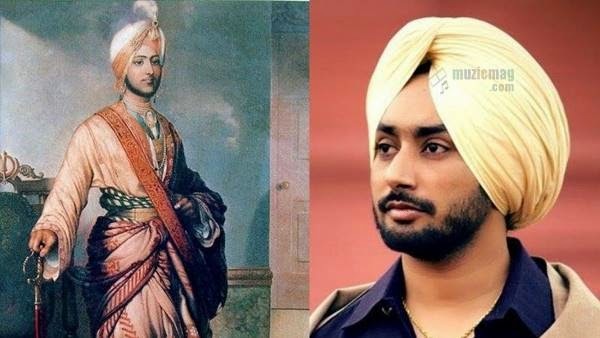 He was the youngest son of Sher-e-Punjab Maharaja Ranjit Singh's and the only child of Maharani Jind Kaur. After the assassinations of four of his predecessors, he was installed as King in September 1843, at the age of five. For a while his mother ruled, as Regent, but in December 1846, after the First Anglo-Sikh War, she was replaced by a British Resident and imprisoned. Mother and son were not allowed to meet again for thirteen and a half years. In April 1849 ten year old Duleep was put in the care of Dr John Login as his Guardian. He was taken away from his land and people to Fatehpur. This is the story of a man who was born to lead, but was diverted into a life of indulgence and excess, until his rebel spirit was finally released by Guru Granth Sahib. As a young boy, Maharaja Duleep was ripped from his preordained royal future and displaced to the strange and alien culture of Victorian England. There, he was an object of fascination and he was indulged, enjoying the life of a rich boy, rejecting his traditional Sikh culture for an adopted, but ill-fitting, Christian spirituality. Duleep Singh died in Paris in 1893 at the age of 55, having seen India after the age of fifteen for only during two brief, tightly-controlled visits in 1860 (to bring his mother to England) and in 1863 (to scatter his mother's ashes).